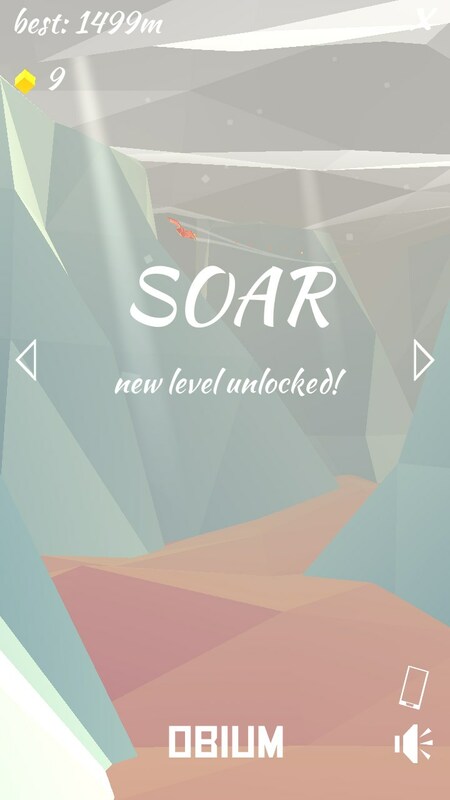 Soar – Games for Android 2018 – Free download. 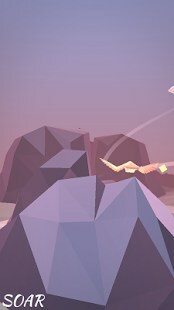 Soar – A unique runner game. 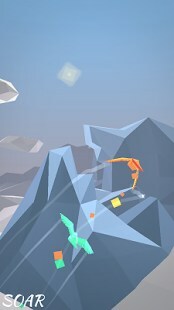 Here we have one of the most relaxing runner type games I have seen recently. 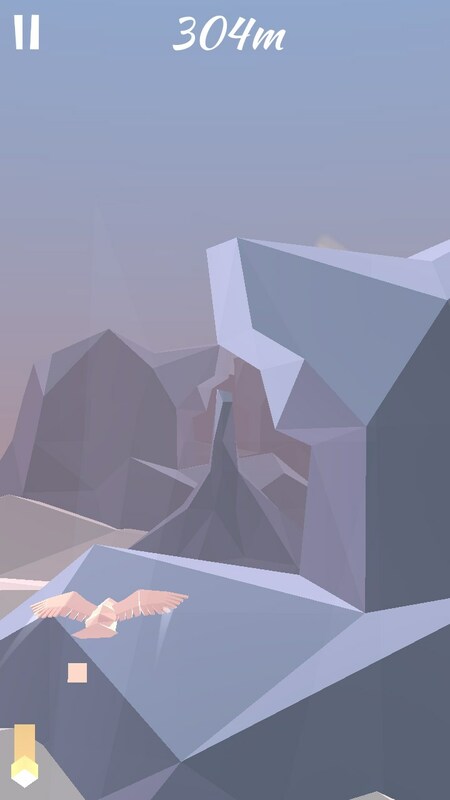 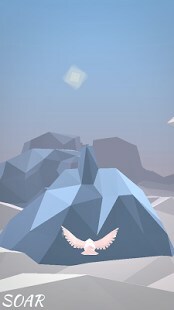 Soar for Android is a game in which you guide a tiny bird as it flies through canyon after canyon, while hearing a relaxing soundtrack. 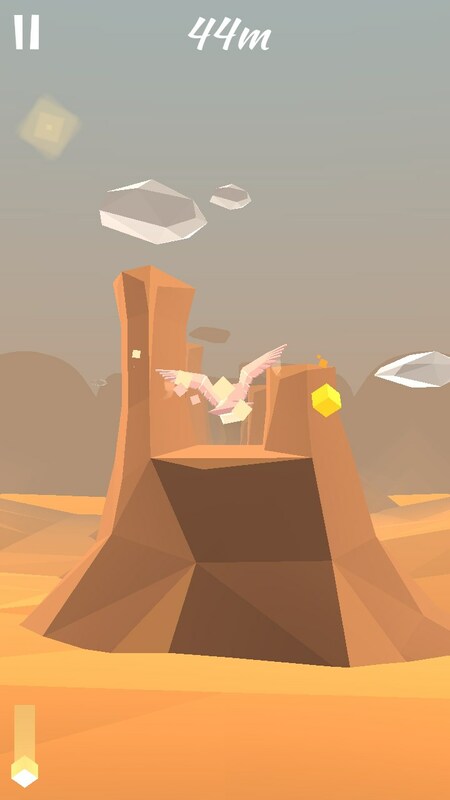 Controlling your phoenix bird is simple enough; imagine an invisible grid covering your screen. 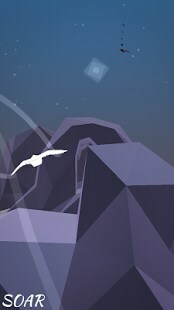 Simply tap on the screen in order to select which lane the bird will soar on. 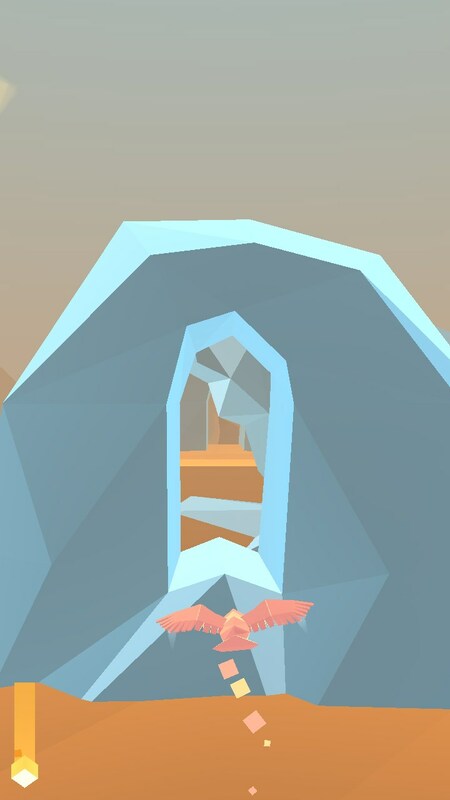 Gliding gently through the canyon and avoiding obstacles, while you collect power-ups that restore health and prolong your flight. 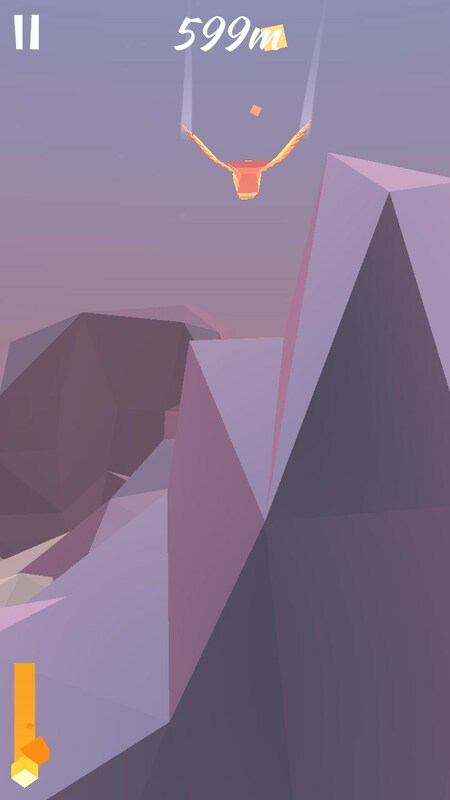 Using them is a must in order to shrug off those occasions when you hit the walls. 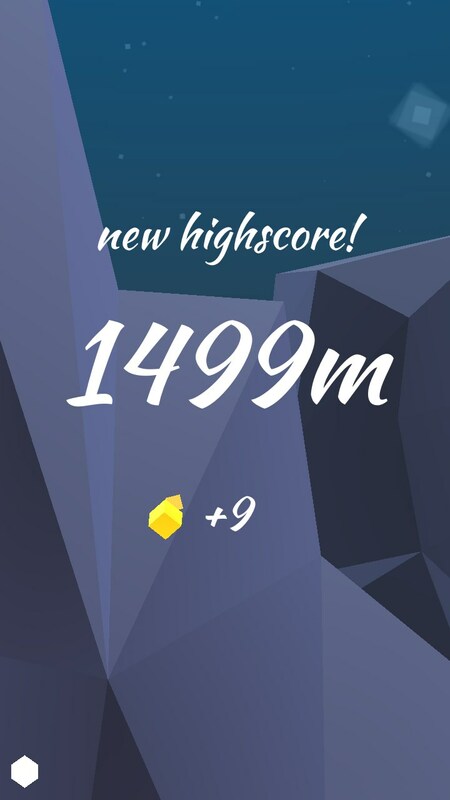 The game is not difficult at all, even when the speed picks up the only thing that truly made it difficult was the odd camera angle. 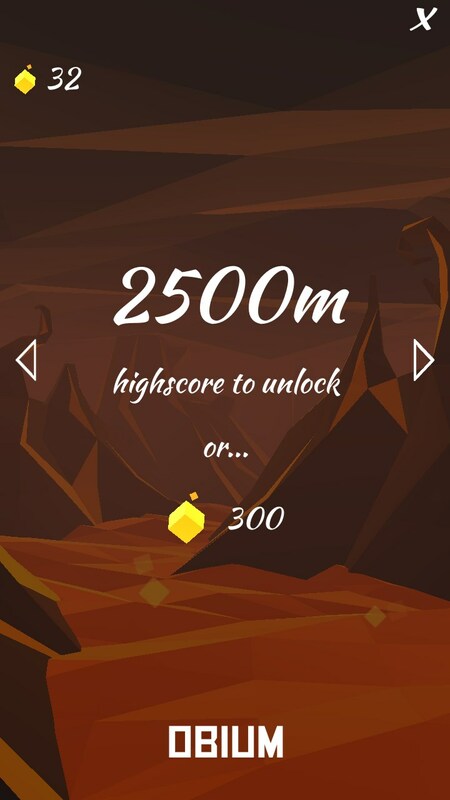 By travelling a great distance in a level or by collecting a large enough number of power-ups; new levels are unlocked, allowing you to explore new environments, such as the volcano. 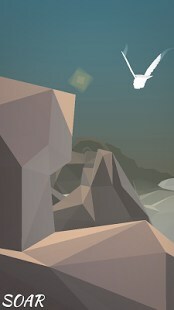 The graphics are very simplistic but that is the charm. The environment is absolutely beautiful in its own right, and when you pair it with the soothing soundtrack and the relaxing gameplay turns the game into a truly wonderful experience. 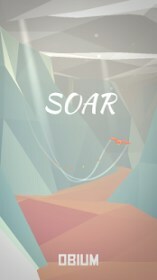 Overall Soar is a great timekiller that anyone can get into. 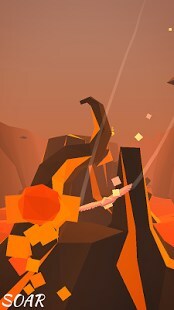 It’s one of those games that are simple yet highly addictive. 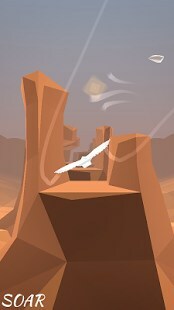 The unique and abstract artwork style of the canyons manages to impress and keep players interested even after playing for long periods of time.